The entrance to your house is more than just a door, it’s the focal point of your home. That is why you’ll find beauty, quality and energy-efficiency in a Polaris entry door system made especially for you. Have confidence in the quality of your entry door with their Lifetime Limited Warranty. Glass lites have the best warranty in the industry: 20 years for decorative glass and 30 years for clear glass. We want your new entrance to look great and function well with minimum upkeep. All that ’s needed to protect the finish is an annual application of polyurethane. Protect your door jamb with cladding that matches your entry door color. The standard Ultra Performance composite frame is guaranteed for life against rot and insect damage. 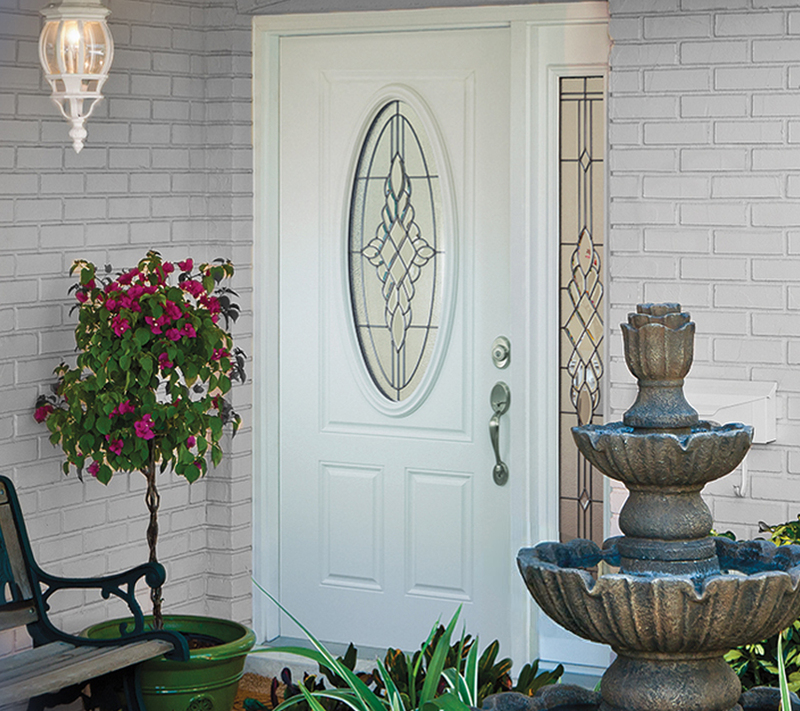 Choose from a wide selection of Schlage® hardware with warranted finishes and moving parts. Polaris decorative glass lites are hand assembled by craftsmen. Wavy textures, tiny bubbles and other natural effects of art glass all reflect light differently. The metal framework is filled with moving light. The result is a unique, quality work of art.